The popular 90s boyband, whose members have led solo careers, popularized the songs This I Promise You and Bye, Bye, Bye. 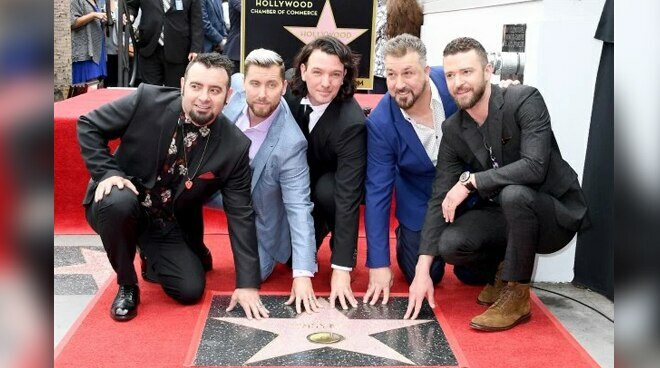 The 90s and early 00s international boyband NSYNC recently reunited as they received their Hollywood Walk of Fame star on Monday, April 30. In a report by Page Six website, one of the band's former members Justin Timberlake was quoted to have said during the ceremony, "You guys are the best fans in the world. First off, I’m gonna sound like a broken record, but for all of you who came from far and wide to be here to share this moment with us, thank you so much… These four guys mean so much to me and we’re really a family." Aside from Justin, the group was composed of JC Chasez, Lance Bass, Chris Kirkpatrick, and Joey Fatone. Some of the songs they popularized included Bye, Bye, Bye, This I Promise You, It's Gonna Be Me, Dirty Pop, and Tearin' Up My Heart.